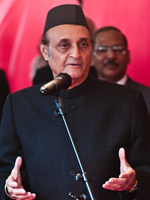 Dr. Karan Singh: An eminent Indian leader, former Union Minister, former Indian High Commissioner to USA, former and current Chairman of Auroville Foundation, in 1992. 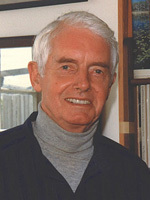 “In order that Auroville may strengthen and manifest her potential of a far-reaching consequence, not just for the wider Auroville bio-region but also for Tamil Nadu, India and humanity as a whole, it is essential to ensure that land development in the Township area happens in a planned and orderly manner. 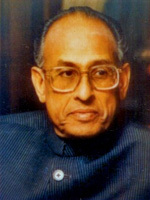 Late Dr. L. M. Singhvi, former Indian High Commissioner to the U.K, Chairman, Indian Diaspora; former member, Governing Board, Auroville Foundation, in 1999, a scholar in Indology, jurisprudence and Political Science. “Speaking as a lawyer, the identity and the integrality of Auroville must first of all be preserved in the identity and integrality of the site. The identity and integrality of Auroville is not confined to the site but the site is an important foothold of the vision. Auroville’s very name suggests that here is a city, a town, and the community of Auroville is obviously based in a defined territory (…) The only way to safeguard the vision of Auroville, the only way to uphold the legislative Act passed by Parliament, is to safeguard the territorial integrality and identity of Auroville. Auroville is a universal township, a universal township of tomorrow. It is a vision that cannot accept, cannot countenance intrusions, or pockets of intrusion into it. Auroville’s influence will radiate even wider… to the entire globe. But the territory of the twenty square kilometers is basic to the concept and territorial undertaking of Auroville. I think that this must be safeguarded first and foremost. There has to be a very comprehensive and multi-pronged action. (…) The Governing Board of the Auroville Foundation has a very strong responsibility in this respect. The various Auroville working groups have all done a great deal; an enormous amount of work. “Auroville is unique not only as an environmental project but also as a living model for a new form of relationship between Nature and urban development. 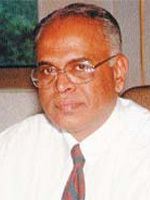 In this regard, I have been troubled to learn that the integrity of this valuable experiment is being jeopardized by the encroachment of private developers buying up parcels of land within the Auroville area. This not only creates a serious threat to Auroville and its planning process as an integrated model, but it even leads to an uncontrolled spiral of inflated land prices, making it even more difficult for Auroville to acquire lands necessary for a unified plan. 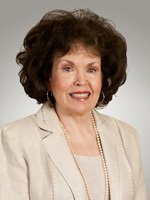 Professor Ms. Mary E. King: Former Adviser to US President Jimmy Carter, currently Professor of International Politics and Special Adviser to the Rector, University for Peace, United Nations, Recipient of Jamnalal Bajaj Foundation International Award for promoting Gandhian values outside India, Former member of the International Advisory Council, Auroville Foundation.